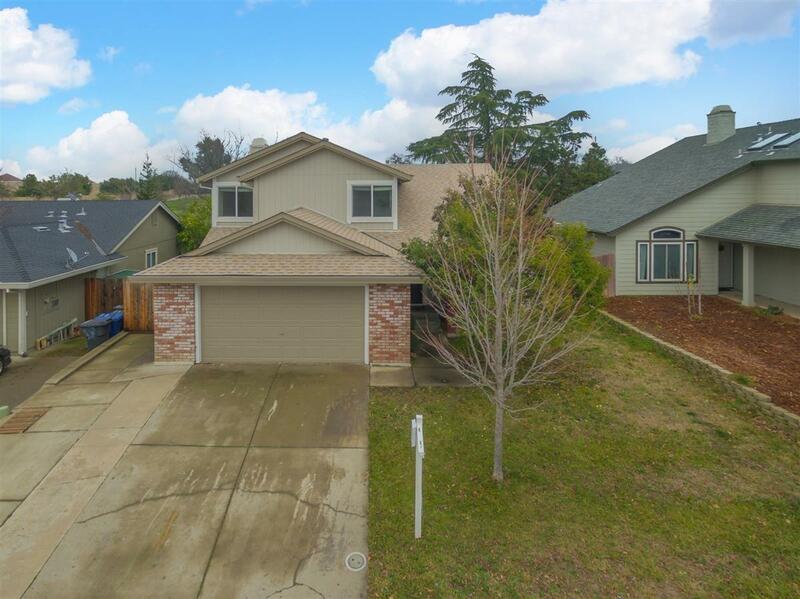 This lovely split-level home backs up to Blue Oak Park and is in close proximity to many shops, restaurants, and schools, including North Country Elementary and Antelope High. The lower level opens to the backyard and includes a family room with fireplace, full bathroom and bedroom, making it perfect for extended family living. Many recent updates throughout the home include new lighting and plumbing fixtures, interior paint, hardwood flooring, bathroom counters/vanities, and crown moulding. Newer dual pane windows make this home energy efficient. Take in views of the park from the master bedroom and backyard, and enjoy summertime barbecues on the spacious covered patio.